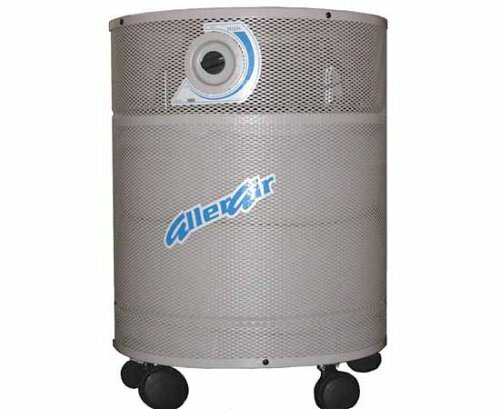 Air Purifiers The AllerAir 600 Exec is more efficient than any other purifier on the market for general air purification. Utilizing a powerful combination of both HEPA and carbon filtration for clean indoor air, it is extremely effective in eliminating airborne chemicals and particulates that could be affecting your health. Perfect for any space of up to 1500 sq. ft, the 600 Exec features a medical grade, DOP tested True HEPA filter, which removes 99.97% of all airborne particles as tiny as 0.3 microns. Its 18 lb., 3 inch deep, MAC-B? carbon filter works concurrently to trap chemicals and odors as well. With a cylindrical shape to maximize air flow, and directional circulation control, the 600 Exec is a powerful ally in the fight for clean indoor air.